Starting off with April Fool’s Day, this month may be made for tricks, pranks, and general funniness, but fitness isn’t a joking matter! This goes especially for advice given to those working towards their fitness goals. There are always new trends, techniques, and fad diets gaining popularity, but there are also many myths that are important to look past! This month, we’d like to break down a few of these common myths in order to help keep you on the right track. 1 – It’s best to workout in the morning. – The best time to work out is actually when you can do so most consistently! If you’re only free to work out one morning every week, but you’re free every night after 8pm, you are better deciding to keep up your routine at night. Consistency is key, so don’t hyper focus on the time of day! 2 – Weightlifting can turn your fat into muscle. – Fat and muscle cells are entirely different, so one can’t simply turn into the other! While working out can help you to burn away fat, muscles actually form in the areas surrounding fat. Don’t be fooled into thinking the process is that easy! 3 – You need to workout (x amount of time) in order to get any benefit from it. – While there are a wide variety of opinions and rumors surrounding how long you need to work out in order to gain any benefits from it, we encourage you instead to focus on finding time for a consistent workout routine, no matter how much time you have available. If you only have 30 free minutes once a week or an hour free daily, the key is consistency and ensuring that you do keep up a workout routine in order to earn the health benefits. 4 – The more you sweat, the better your workout has been. – This one is widely popular, but also false! Sweat may be the way your body vents heat, but it doesn’t always correspond to how intense your workout has been. Sweat varies person to person and it’s a matter of individuality, not a sure measure of your workout achievements! 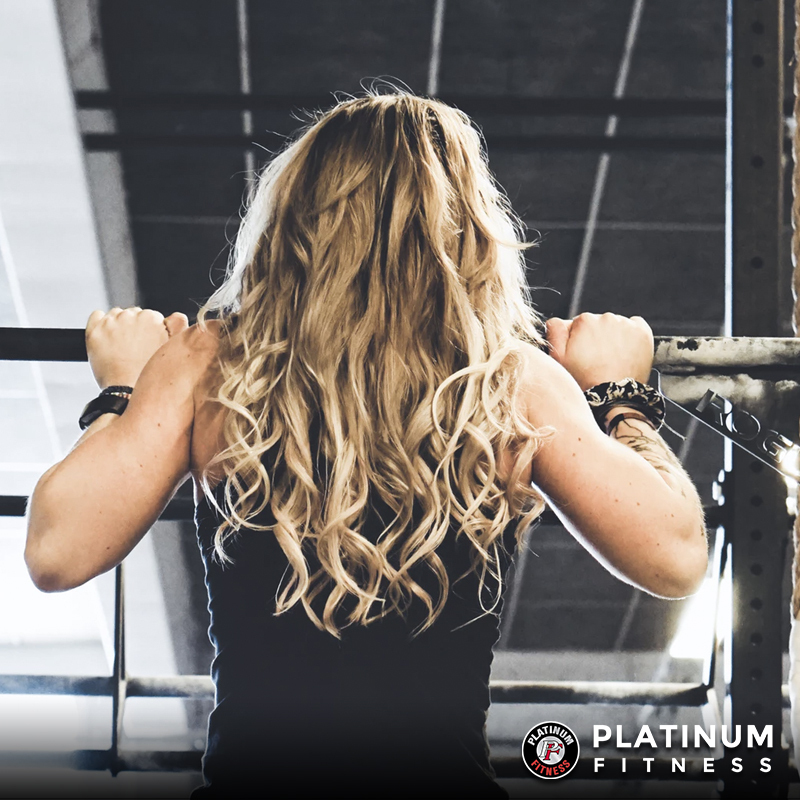 No matter what myths you’ve heard about fitness, the Platinum team, our certified trainers, and our blog are ready to help keep you on the right track! Be wary of what workout rumors you hear– be sure to fact check when it comes to your fitness goals! To experience Platinum for yourself, claim a FREE 7-Day pass here! 1 Chia Seeds – These are not only a versatile ingredient, but they’re packed with protein, potassium, and calcium! They’ll work to help strengthen and condition your body, keeping your bones strong to support you in your fitness pursuits. Try eating these on top of your favorite fruit, in smoothies or salads, or even with yogurt. 2 Eggs – Eggs are another powerful and versatile source of protein! They also contain all of your essential amino acids, calcium, iron, phosphorus, zinc, and vitamins A, B, D, and E. Take advantage of them to help you in bone and muscle growth and rejuvenation! They’re available in a wide variety of forms, boiled, scrambled, poached, or otherwise! 3 Bananas – Bananas are nutrient-rich, with potassium, magnesium, manganese, fiber, and vitamins B6 and C. The potassium and sodium in them play a fundamental part in activating your muscles, but also in keeping up your energy and cooling off after a workout. Try eating one after your workout to aid in your recovery! They’re easy to pack and eat anytime. 4 Salmon – Need a healthy main dish? No problem! Try salmon for its complete proteins, which can be easily used by your body for muscle growth and joint care. The omega-3s in salmon can help not only your joints, but it can fight inflammation too. 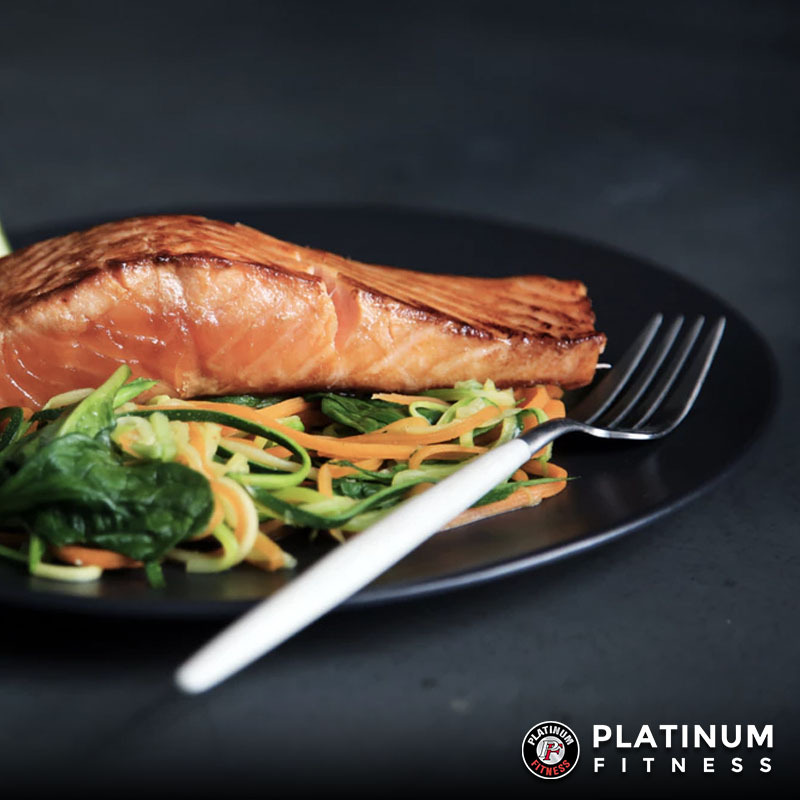 Try eating salmon as a meal after your workout, whether cooked with vegetables, in a salad, or raw with some sushi! 5 Nuts – Nuts like almonds, walnuts, hazelnuts, cashews, and more are all high in protein and therefore great snacks for post-workout! Their protein and amino acids make them a strong contender as super foods, plus they’re easy to pack and keep on-hand. Try a handful as-is or even in nut butter! Any of these superfoods would be excellent sources of nutrients after your workouts, so try giving them a try in your next weekly routine! There are so many ways to boost your physical fitness goals with healthy eating habits, so focusing on food alongside gym time is crucial. Learn more from Platinum’s blog or from our certified trainers! As we are celebrating this month of love, we’re here to share our secrets to falling in love with your workout routine! While some may view working out as a hassle that’s hard to stick to, it’s much easier to keep up with a routine if you can begin to enjoy it. While everyone may have different tastes and preferences, there are some general steps you can take to help you start loving working out. 1 – Make it a routine. Workout routines may start with dedication but can often fall apart, if there’s no schedule set up. Make it a point to schedule workouts into your week, regardless of whether you need to switch up times to be squeeze it in. The point is, you have to stick to it in order to start enjoying it! 2 – Focus on the workout session. By turning off your phone, ignoring thoughts about work, and trying to focus fully on what you’re doing, you’ll be getting the full benefit of truly experiencing your workout. Take in the sights of the gym, spend time thinking about how your workout is going and how you’re feeling, talk to people around you or take a workout partner– focusing like this can help you to create an attachment to your routine! 3 – Plan your routine. Know your starting point! Plan your gym time out to ensure you don’t waste time trying to make decisions while there. Schedule what your plan will be: what equipment will you use, for how long, what you’re focusing on, how many reps you’ll do, etc. This way, you can also take measured steps in increasing the intensity and length of your workouts to meet your growing goals! 4 – Check out your results. No matter what part of your fitness journey you’re on and what your focus is, there are always results to work for. Reaching goals like being able to take a flight of stairs easily, increasing your weight-lifting limits, becoming more flexible, and more, are all huge successes to celebrate! By the time you start reaching your goals, your workout routine should be one of your best allies. Furthermore, how can you start taking all of these steps? Try out Platinum Fitness! Our certified trainers are there to show you the ropes, instruct you on techniques, and help you to form routines and goals. Work on these steps and you’ll be falling in love with your workout routine in no time! 1 – Our classes can keep you on track. Classes are a great way to workout without needing to focus on planning, getting lost in monotony, or losing motivation spending your gym time alone. Our instructors will keep you on your toes with classes prepared for every level of fitness in a wide variety of workouts! 2 – We have certified trainers to keep you on track. Not only do they have special offerings that you can take FREE advantage of (Complimentary Personal Training Sessions at Speedway, Body Composition Analysis and Fitness Assessments at Oracle, etc), but they are ALL certified to assist you in your fitness journey. You can rely on them to help you form and accomplish your goals! 3 – We give you the opportunity to reward yourself. Our amenities are there to help you work out, but also for fun! Our free childcare can help you find the time you need, our equipment and classes can give you a variety of full-range workouts, and our fun-fueled theater rooms, tannings beds, saunas, and more are here to make your workout routine a fun one! We even have an on-site spa with member discounts! 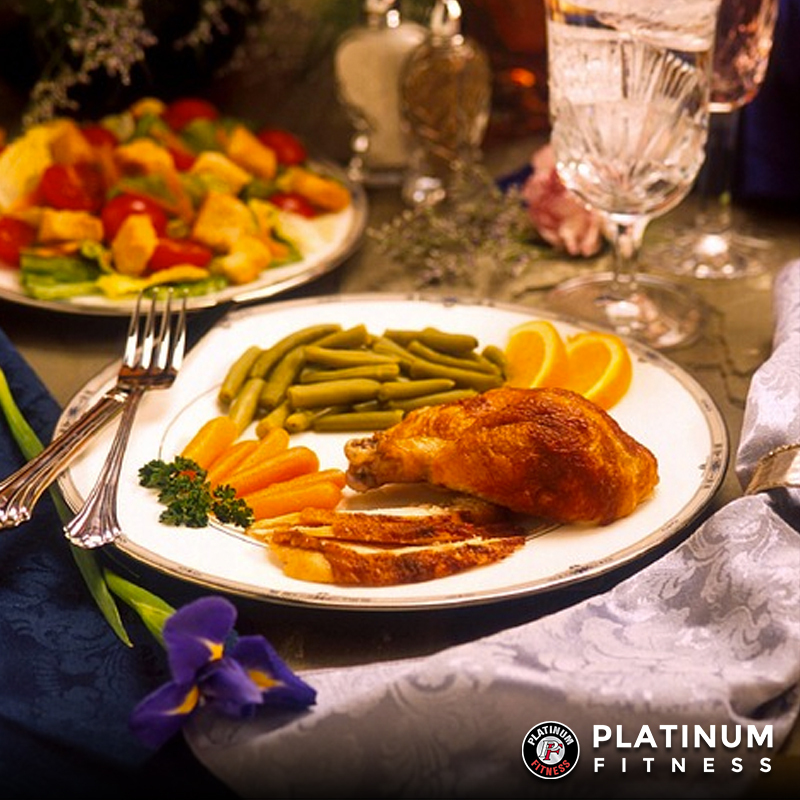 When it comes to making a New Year’s Resolution into a reality, Platinum has your back! We can help you to form your dreams into realistic goals, plan your journey to accomplish them, and even help you see them through! Give us a try by taking advantage of a FREE 7-Day Pass! Still last minute holiday shopping? Take away the stress off by deciding to give the gift of fitness! 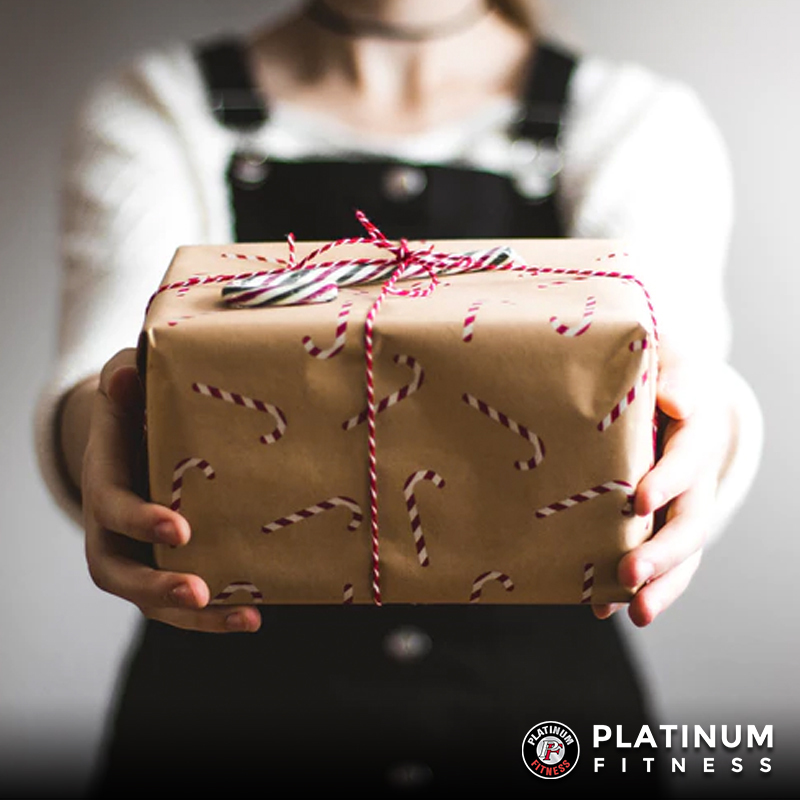 Gift your friends, family, or even colleagues a membership to Platinum Fitness just in time for the holidays. A gym membership with us is a one-size-fits-all choice for gifting, available to every age, with aspects to suit a variety of tastes, and its use goes beyond that of simple nicknacks! 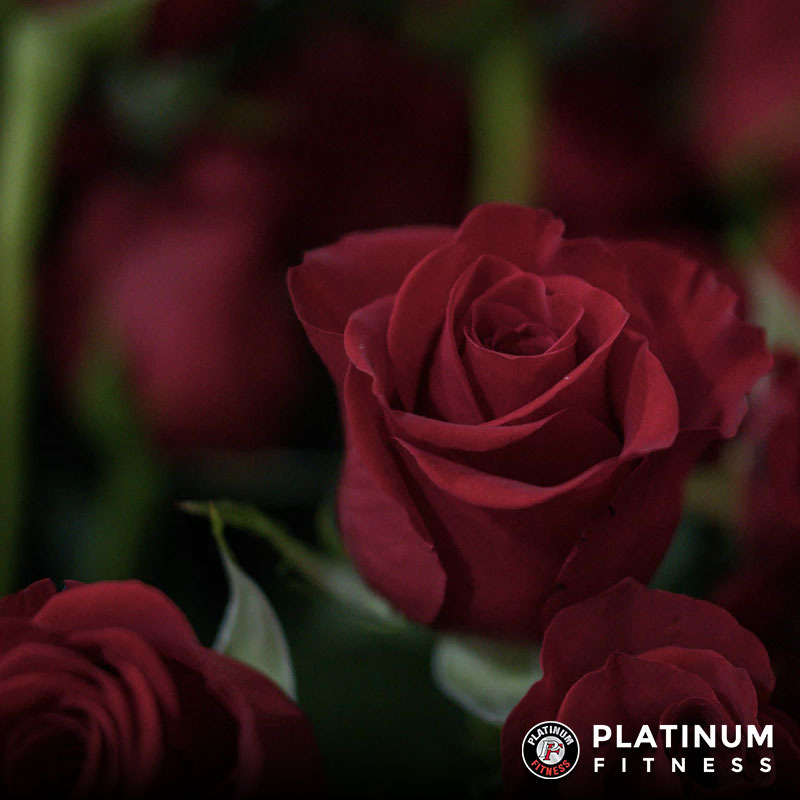 Let us explain why gifting a membership to Platinum Fitness is the best option this year. Platinum has something for everyone! Kids will love the childcare play centers, teens might flock to the tanning beds or theater rooms, moms can relax in the spa and saunas– families will love the time together and everyone can take advantage of the assorted equipment and other resources available! We even have classes for those with special talents or who are eager to embrace new hobbies, like Yoga, Boxing, Pound, and more! Platinum is a space meant for a wide variety of people to enjoy, with something for everyone within its three convenient locations. A gym membership is much more meaningful than a simple holiday nicknack. Gift people something that they’ll enjoy using! With a membership to Platinum, you give them not only an abundance of resources but the means to make positive life change. Fitness is a lifestyle and giving someone the ability to fully embrace it in an environment made to encourage it is priceless! 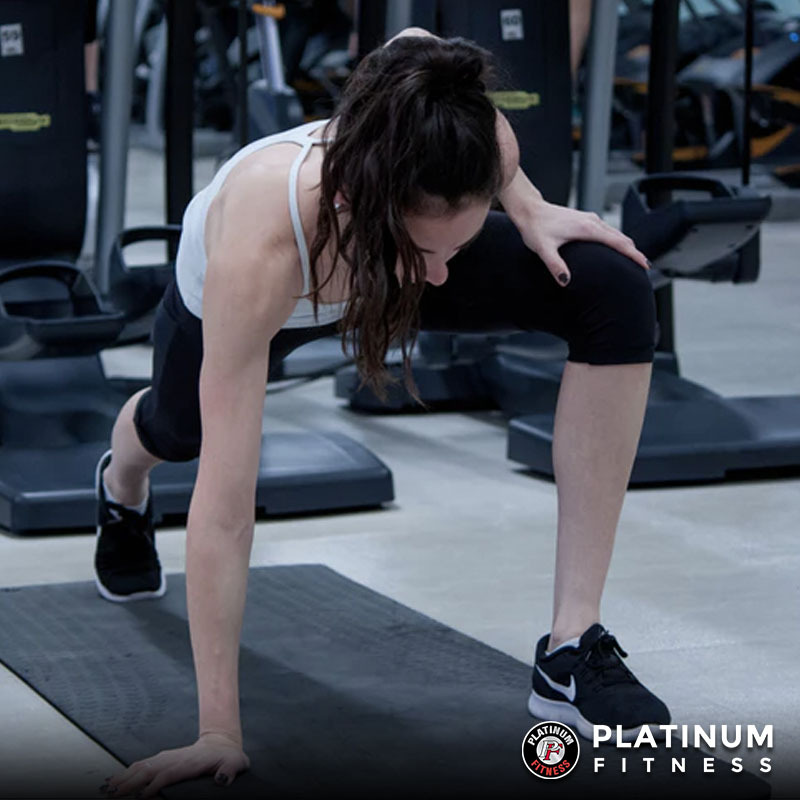 Platinum itself is also a community, so giving them a membership means they’re welcome to become a part of a community of fitness-minded people, including certified trainers, regulars, and everyone else who enters its doors. No matter who you’ve still got on your holiday shopping list, consider picking the gift of fitness for them! Gifting a month’s membership to someone else can be a meaningful, thoughtful gesture that might just change their lives. 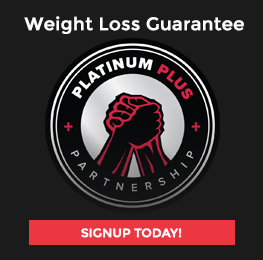 Contact Platinum Fitness over the phone or at one of our locations today to learn more about memberships! 1. Saunas – Take in some heat after your workout to wind down, with benefits for your body and skin to enjoy. Spend time in the sauna with your friends or on your own to ease your stress and relish the warm sensation. 2. Tanning Booths – Multiple tanning booths are open for use at all three locations, ready for you to make the most of in capturing that summer glow all year round! A fresh tan is a great confidence boost, so why not treat yourself? 3. Cinema Rooms – There are also cinema rooms at all three locations, ready for you or your group of friends to come and enjoy! Relax in your own movie theater space, with the experience of the theater without the price tag. 4. Childcare Centers – Want to get some gym time but don’t want to leave the kids alone? Bring them along with you! Each location has a childcare center where your kids will be cared for and entertained. 5. FACE It. Aesthetics – Pamper yourself with the variety of services available at Platinum’s very own spa, at our Oracle location. All members enjoy them at 15% off, plus you get the convenience of having the spa seconds from your weekly workout routine spot. No matter your interests or age, we have all sorts of amenities beyond our fitness specialties! 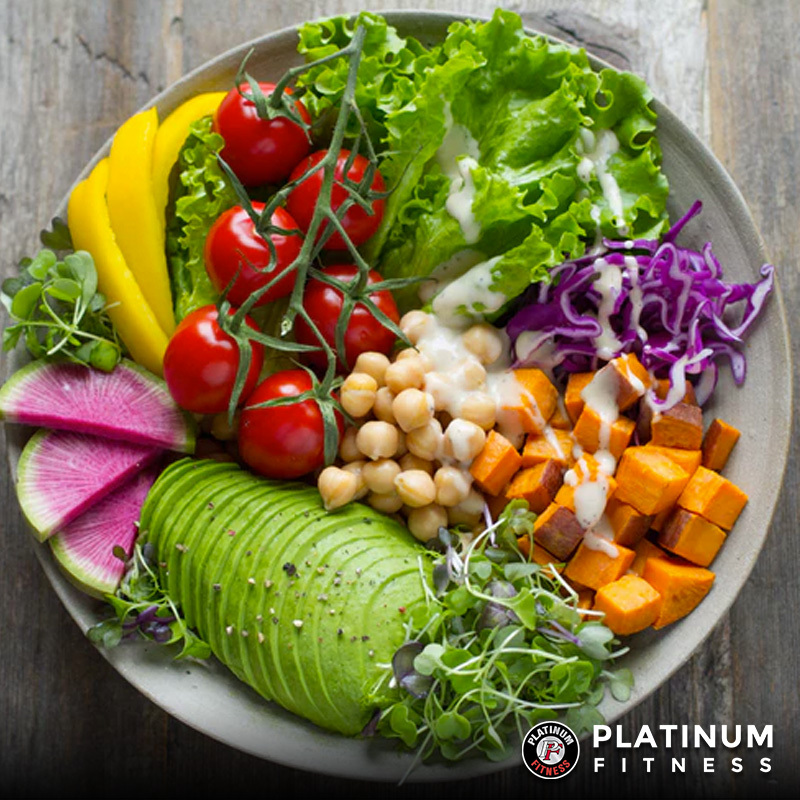 At Platinum Fitness, we’re here to provide all these resources and more to you with a friendly atmosphere and room for all your family and friends. Stop in to start your membership today! It’s no secret that what you eat and when is important, but sometimes time or lack of planning can make people lose focus of this. For instance, while it may occur to some people to eat a balanced meal before hitting the gym, not everyone sits down to a proper meal. Some may only grab a granola bar or a quick bottle of water as they run out the door or even pick up fast food along the way, but this can be detrimental to your workout efforts. 1 – Carbs – Carbs are a major source of energy for your body! Your muscles take the glucose from carbs to fuel you, so ensuring you have plenty in your system is key. The amount needed will depend on the length and intensity of your workout plans, but this nutrient remains important regardless. 2 – Proteins – Protein is known to help improve many sorts of athletic performance, but it also carries other benefits you should capitalize on! This includes increased muscle growth and recovery, more strength, and better overall muscle performance. Proteins are key in both making the most of your muscles and helping to protect and help them recover. 3 – Fats – Alongside carbs, fats are another important source of fuel for your body! This is a key nutrient, needed especially during longer or moderate/low-intensity workout sessions. For athletes or those maintaining a continuous workout routine, fat is important to include in your diet, not only before workouts but overall. Eating before a workout is key, but when you do so is also important to consider! The optimal meal would be 2-3 hours before a workout session, with carbs, protein, and fat present to fuel you. However, the closer you get to your workout, the less important it is to include fats in what you eat, in order to favor good digestion. Therefore, for when you eat closer to your gym time, focus on getting carbs, some protein, and avoiding the fats. To learn more, let the experts at Platinum Fitness guide you in our ongoing blog or come in to see us today! – Pilates – Pilates is a combination of physical movements and mindfulness, with a wide range of benefits to improve both your mental and physical health. Among these are stress relief, flexibility, body conditioning, joint elasticity, and more! Join our Pilates sessions for a thorough but low-intensity approach to working out, with an emphasis on the importance of breathing and form. – Spinning – Interested in cardio equipment but don’t know exactly what you’re doing? Or, are you just needing a push to get an intense workout? Our spinning classes are meant to drive you forward, with an energetic array of terrain and intensity segments to keep things interesting. Endure climbs, jumps, and sprints simulated by the intensity and push your cardio and leg muscles! – BODYJAM™ – Need more zest in your workout routine? Try out BODYJAM™ and use dancing for your fitness needs! This fun, upbeat class features a mixture of dancing, culture, and music to make working out fun. If you love dancing, this is a class meant for you! You’ll get a full-body workout without feeling like you’re at the gym! – BODYATTACK™ – Not a fan of dancing, but have experience or interest in sports? BODYATTACK™ is made with athletes and sports fans alike, with inspiration drawn directly from common sports. This class is built on running, lunging and jumping as well as strength exercises to get you moving and keep you on your feet. If you’re looking for an athletic feel to your routine, then add this class in to your schedule! At Platinum Fitness, we have classes in a variety aimed to suit anyone! From beginners to pros, with any fitness level in mind, our selection has something ready just for you. Take a look at our full class roster here to learn more about each of them and explore all of our options fully. 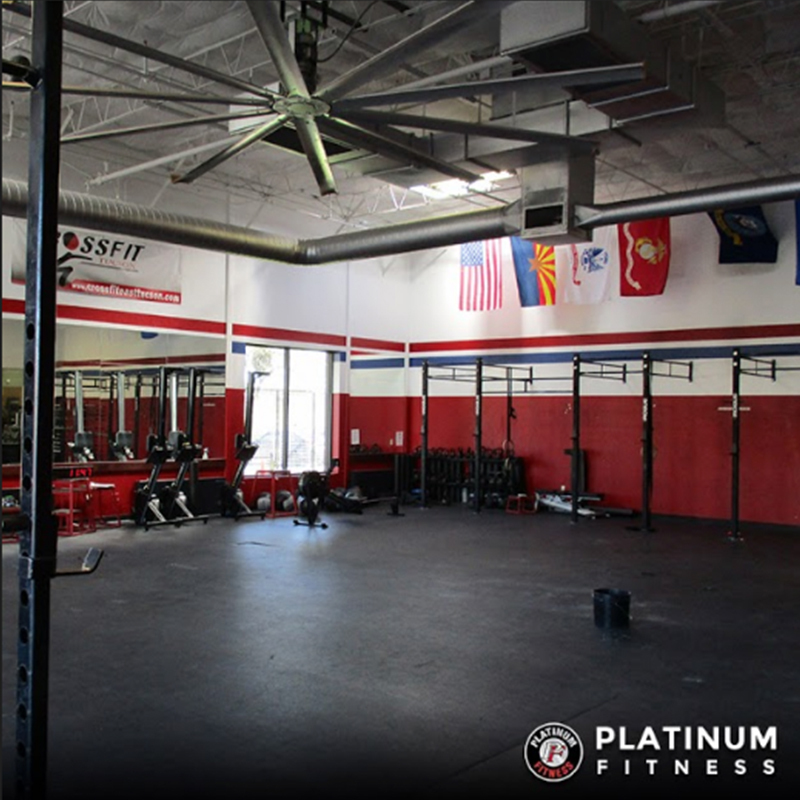 Gyms may not be hard to come by, but Platinum Fitness aims to provide a quality that’s few and far between. We aren’t just another gym– we’re a community of support, a wide variety of resources, and a structure that can help you to hold together a truly lasting fitness routine. We’re here to be your guide and your backbone throughout your fitness journey, from the first time you step through our doors, whether you’re new to fitness or you’ve been into exercising and competitive fitness your entire life. So, why pick us? Let’s give you a run-down of our top reasons! 1 – ALL of our trainers are certified. This should be a given at any fitness business, but that’s not the reality. At Platinum, you can trust that when you rely on one of our experts, they truly do know what they’re talking about and have the experience to back it up. We know what we’re doing and we’re passionate about sharing it with you! 2 – We offer a wide variety of amenities. We have cinema rooms, tanning beds, saunas, a full-service spa, a huge selection of classes for every level, and more! With a wide variety of activities to keep you interested and involved, we’re ready to make your fitness journey an action-packed, fun experience with the room to change things up if you ever want to. Something new is always going on, so you’ll never be out of things to do with all of our resources. 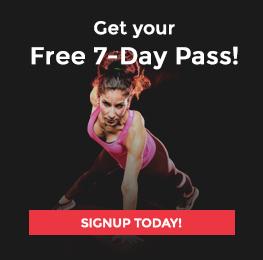 3 – We offer a free 7-day pass! We know what we offer is a quality experience– so we’re willing to let you try it for free! With that kind of deal, why not take advantage? There’s no risk in using the resources we offer for a free week, so sign up for yours now! At Platinum Fitness, we’re a community, not just another gym. Between our certified trainers, various amenities and resources, and the free trial period, we’re ready to be your partner in your fitness journey! Our web of support is ready for all of our members, with our doors open to everyone no matter your skill or ability level. To learn more about us, give us a try for yourself!